ODEX is one of the masterpieces from KATTICH. 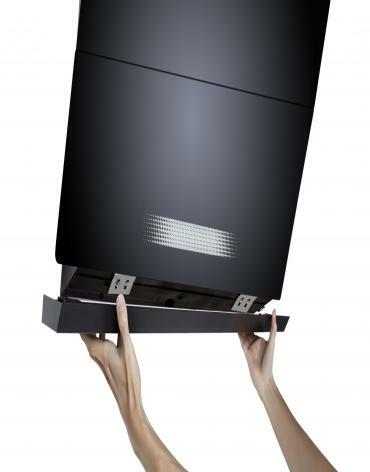 The ODEX is the wall mounting range hood whose design is inspired from an equilateral right angled triangle, forming a 45-degree angle between the body and glass. 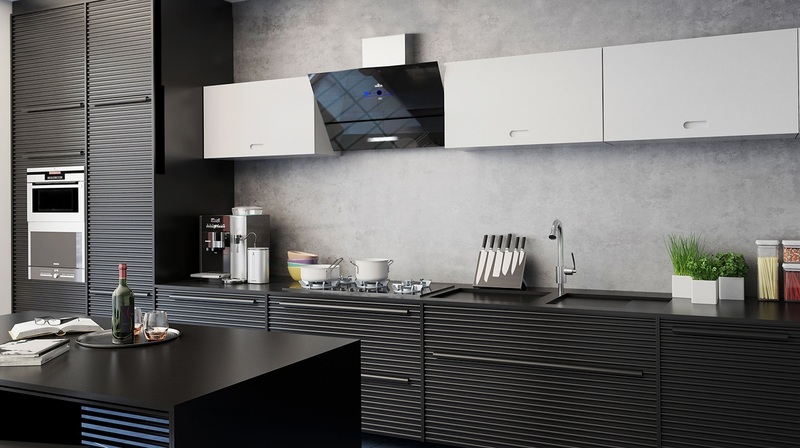 Sleek and elegant that even prevents the user from bump on his head, this range hood perfectly combines the high-tech look of stainless steel with the beauty of ebony glass. 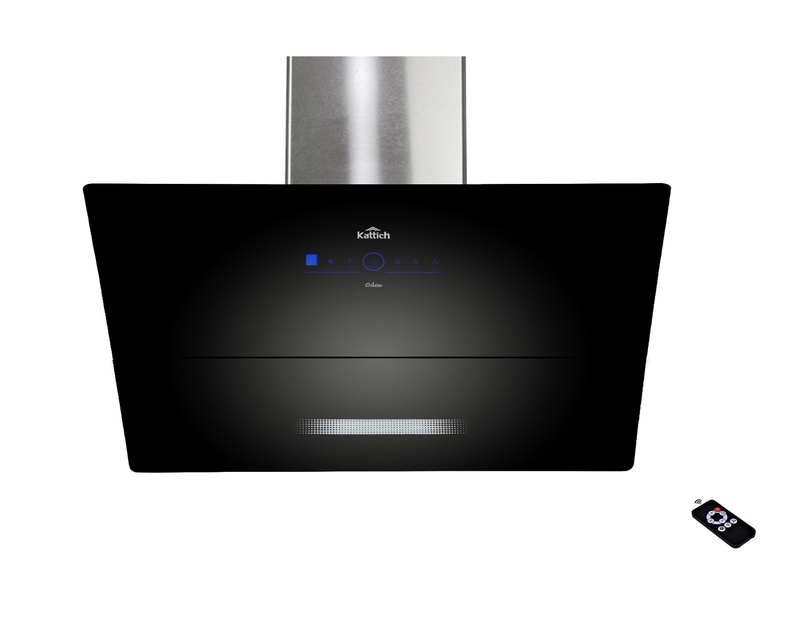 It comes with the Electronic Motorized Hydraulic Functioning which means that the upper glass automatically opens up when Rangehood is switched on & it gets automatically closed when Rangehood is switched off from Touch Panel/Remote. No need to manually open & close the front glass. 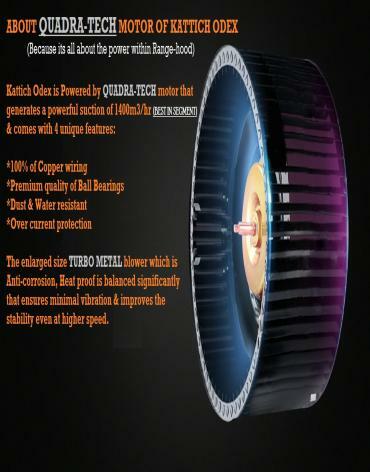 Odex is powered by Quadra-tech motor that generates a suction of 1400 m3/hr (BEST IN SEGMENT). The enlarged size steel filter which is based on Direct Air-Reception (DAR) technology ensures the hassel free smoke enterance in the hood resulting in the best performance on tough Indian conditions. This range hood has the enlarged size Oil Collector in which the oil gets collected. It can easily be removed by moving the safe-easy card, eliminating unscrewing operations. The Fuel Sensor is integrated in this Rangehood that Automatically starts the hood in the leakage of gas cylinder thus preventing from an Accident. The KATTICH ODEX comes with an eye catchy design of LED strip light which is flicker free, has a longer lifespan, generates no heat, and uses 90% less electricity than traditional lighting products. 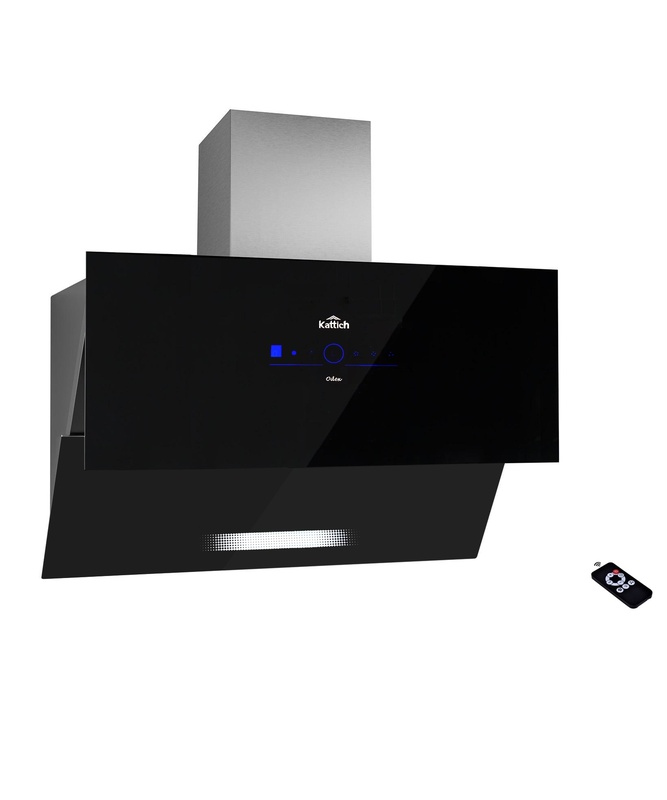 The Power Saver Technology from KATTICH enables every model of their range-hood to take very less power which results in saving a good amount of electricity. The oil proof remote adds on further comfort on functionality of this range hood.